Learn more about the Project through this video. Douglas, Mitchell L. H. . “Alabama, 1976.” Callaloo, vol. 28, no. 4, 2005, pp. 1059–1059. .
Donohue, Jean, et al. Coal Black Voices. Covington, Ky.: Media Working Group, 2006. DVD. "Coal Black voices is an intimate mosaic of images, poetry, and storytelling by Afrilachian poets as they give glimpses of life in the American Black South and Appalachian region. The ensemble of African-American writers challenge simple notions of an all white Appalachian region and culture while drawing on the traditions such as the Harlem Renaissance, the Black Arts Movement, and the experiences of the African Disapora. The poetry of the Affrilachian poets celebrates their African heritage and rural roots while encompassing themes of racism and Black identity. In this documentary they give voice to the pleasures of family, land, good food, artistic community, music and transformation"--Container. Finney, Nikky. “Irons At Her Feet.” Callaloo, vol. 13, no. 3, 1990, pp. 467–468. Finney, Nikky. “Hate.” Callaloo, vol. 24, no. 1, 2001, pp. 67–68. Finney, Nikky. “The Making of Paper.” Meridians, vol. 3, no. 2, 2003, pp. 17–19. Spriggs, Bianca. “Lynching Postcard.” Journal of Feminist Studies in Religion, vol. 29, no. 1, 2013, pp. 137–137. Spriggs, Bianca. 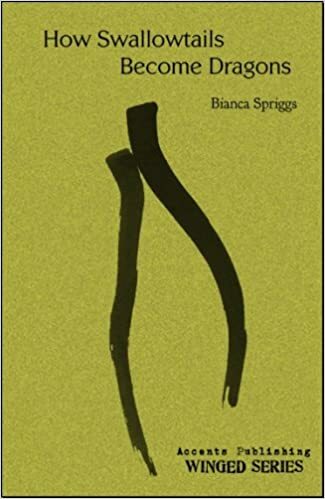 “Beyond the Bridge: A Lynched Woman Speaks.” Journal of Feminist Studies in Religion, vol. 29, no. 1, 2013, pp. 138–140. Walker, Frank X. “Affralachian.” Appalachian Journal, vol. 23, no. 2, 1996, pp. 166–167. Walker, Frank X. “A Wake.” Appalachian Journal, vol. 23, no. 2, 1996, pp. 164–165. Walker, Frank X. et al. “‘Still Chasing These Words’: A Conversation with Frank X Walker.” Appalachian Journal, vol. 38, no. 4, 2011, pp. 408–422. Walker, Frank X. “What To Do With Your Obama T-Shirt When the Election Is Over.” Appalachian Journal, vol. 36, no. 1/2, 2008, pp. 7–7. Wilkinson, Crystal, Brewer Ashley, Corriher Donna, Doster Meredith, Edgerton Jesse, Furgiuele Hannah, Hogue Coty, Jones Rebecca, Pappas Blaze Edward, Perry Shannon, and Beaver Patricia D. "Grooves in the Record. An Interview with Crystal Wilkinson." Appalachian Journal 39.1/2 (2011): 108-25.